Darryl Nation served our community as a member of Victoria Police between 1964 and 2004, retiring at the rank of Superintendent after 40 years service. During his career he was highly commended for professional performance for his role as Divisional Commander and again whilst engaged in the review and implementation of a project under difficult circumstances. 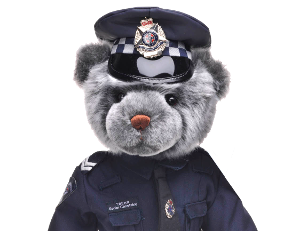 He was awarded the Australian Police Medal for distinguished service, the National Medal 1st & 2nd Clasp and the Victoria Police Service Medal with 40 year Clasp. After retirement Darryl and his wife Rhon moved back to their family home in Frankston and started the Blue Ribbon Foundation’s Peninsula Branch in April 2011. 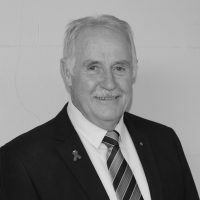 As President Darryl, has coordinated a strong team of volunteers, supporters and sponsors with the aim to raise money for Peninsula hospitals at Frankston and Rosebud. Their efforts have been enormously successful and established the Edward Simmons Resuscitation Unit at Frankston Hospital in December 2013 then the Clyde Smith Resuscitation Unit at Rosebud Hospital in May 2014 and most recently the Phillip Fleming Operating Theatre at Frankston Hospital.